The crazy guys and girls who take part in the 947 Cycle Challenge, the Midmar Mile, Comrades, Tour Durban and many other major sporting events in their distinctive black and white Cow suits. This is all part of a fundraiser for the CHOC Childhood Cancer Foundation and was started in 2008 when Kerrin Bain lost her young daughter to cancer and decided to get a bunch of mates together in any sort of matching costumes to ride the 947, the only available matching costumes being Cow suits! Since then, The Cows have raised over R29 million for CHOC which assists CHOC in many ways. It helps CHOC to provide emotional support to the children and their families by paying for many of the social workers’ salaries. It has also been used to buy, build and refurbish houses. It is used to refurbish and upgrade the paediatric oncology wards at major government hospitals, provides transport for the children to get to treatment centres, and supports childhood cancer awareness campaigns. 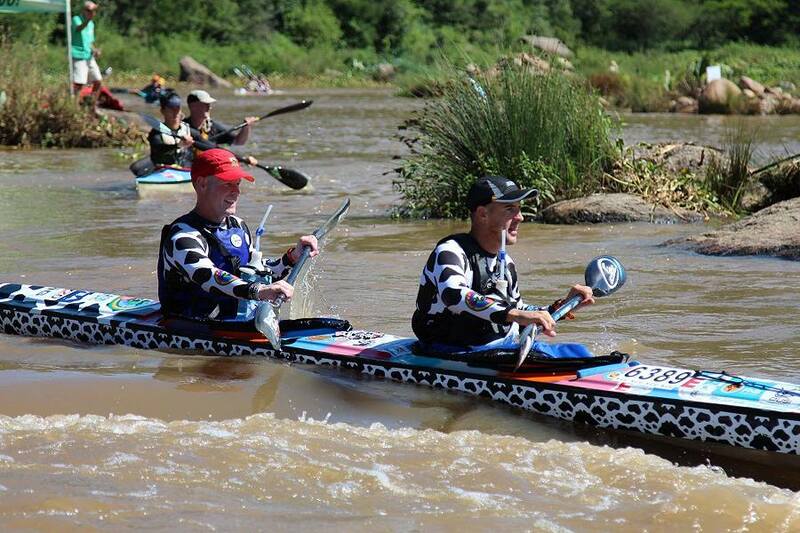 In February, a couple of valiant guys took on the FNB Dusi for The Cows and paddled (and ran !! in their Cow rashvets and paddling shorts, with the intention of kick-starting a Paddling Herd of The Cows. Now, with the Fish River Canoe Marathon coming up in October (which is also national Cancer awareness month), and this being The Cows 10th anniversary, this is the time to take the bull by the horns and get that Paddling Herd going. The organisers of the Fish have been awesome, partly because they support the Cradock Cancer Care Unit, but mostly because they ‘get’ what The Cows is are all about – having a hell of a lot of fun while making a real difference to the lives of children battling with cancer. The Fish is the most festive event of the year, so don’t you want to do it in Cow kit? To qualify as a Paddling Cow at the Fish you need to commit to raising R5000. All the proceeds will go to CHOC and will also support the Cradock Cancer Care Unit. You will also become part of the club – a founding member of The Cows Paddling Herd. 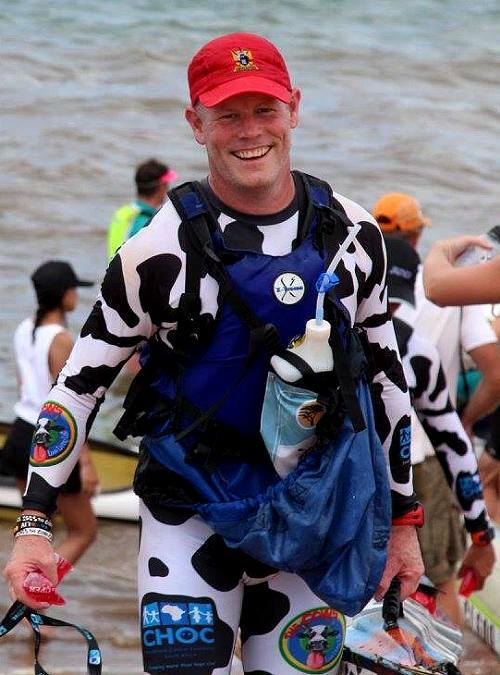 Contact Daisy, our bovine-in-chief, who will be paddling The Fish as part of the Paddling Herd, at daisy@thecows.co.za to put your hoof up for the Paddling Herd.